Multi-instrumentalist and drummer for Paramore, Nine Inch Nails, Lostprophets, etc. 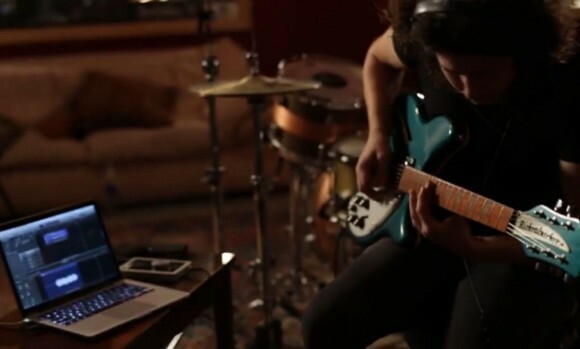 Ilan Rubin stops by Apogee Studios to record a song in an hour flat, showcasing the capabilities of the Apogee Duet 2 audio interface. By the way… all the parts were done in one take, no comping, doing multiple takes, samples, or crazy tricks of any kind. Sure, it may be an ad, but as uncomfortable as that may make you feel, the clip is still pretty cool. Music geeks and gearheads can feast on the interview and session footage below.